в одноклассниках пропускает рекламу !!! se isntala sin problemas. PERO algunas paginas me piden que desabilite, la desabilito. cuando dejo de utilizar la pagina y quiero activarla. NO aparece en la lista de extenciones. Ya Reinstale Opera y volvio a ocurrir. Ayuda por favor Gracias. tengo el problema cuando esta activo la extension no puedo ver los controles de reproduccion de youtube , entonces por ejemplo tengo que tenerlo desactivado AdBlock para poder pasar a la siguiente cancion en una lista de reproduccion de youtube. При установке расширения возникла ошибка: Download failed. После каждой перезагрузки компьютера расширение не работает, вместо иконки высвечивается пазл, при наведении курсора пишет "файл был перемещен, либо удален". Такое происходит с любыми антирекламными расширениями. Помогите разобраться, что не так. Замечена проблема с долгим открытием страницы с множеством ссылок. Особенно при возврате на страницу со ссылками кнопкой назад. Интерфейс страницы загружается быстро. Ссылки становятся активными через 3-4с. С Adblock plus такой проблемы нет. Раньше просто удалялось через день из списка расширений, теперь и вовсе пишет "загрузка не удалась". Что делать? I am not being allowed to download 'Ad block' on my opera browser for my tablet. В ВК стало плохо работать, в левом столбце реклама то есть, то нет, уже принудительно блокирую её, но через секунд 10 снова появляется, разберитесь пж. Аналогичная ситуация была, решилась обновлением фильтров в настройках адблока. Сейчас возникла снова, но не решилась также - перешёл на адблок плюс, всё замечательно блочится теперь. Nie aktualizuje polskiej listy. Reklamy dalej wyskakują! Но при нажатии на кнопку ничего не происходит. Если отключить AdBlock, то все работает. В других браузерах такой проблемы не наблюдается (проверено в Chrome). Проблема оказалась в фильтре "Fanboy's Annoyances". Если его убрать, то все работает. Согласен предоставить любые требуемые данные . до обновления 33.0 все было нормально . I click ad to opera. It says ''installing''. Then nothing happens. Help? У меня такая проблема:я зашёл в оперу и заметил что у меня появилась реклама,я зашёл на этот сайт и скачал программу AdBlock и рекламы не было,но когда я пере-зашёл в оперу программа AdBlock сама удалилась. Скажите пожалуйста что мне делать. There is a button to repport an ad that isn't blocked, but not to repport when AdBlock blocks content that isn't an ad. Perhaps you could add a button for reporting unintentional blocks? Here the radio player is blocked. It's written in Swedish. После последнего обновления Оперы расширение просто перестало работать. Отображается как установленное, но ни значка, ни меню нет. Не могу добавить расширение, пишет "Ошибка при установке" Подскажите, что может быть не так? prosze usuniac pozostalosc, po reklamach. brak polskiego tekstu, w niektorych miejscach rozszerzenia. а что толку писать сообщения на них нет ни ответа ни совета,как исправить ситуацию! подделка под АД БЛОК ПЛЮС!!! I don't understand why Adblock blocks just one banner link image on a page and not all the others. The page is all advertising, as it is a directory of sash window specialists, so anyone visiting would presumably want to see the ads! Does it base the blocking of a specific one based on the link's destination? When I visit a site, sometimes this extension overwhelms with the ad blocking number, sometimes it even displays "722 ads on current page"! в Opera 12 часто сбиваются мои настройки(фильтры вручную,конт.меню), на настройки по умолчанию! Версия 2.6.14 только для Opera выше v.12? On some sites it is impossible to select anything to block. The dialogue box will pop up (proves that JS is enabled), but you can't select any elements. The link below is to one such page, there will be a box around elements that you hover the mouse over, but clicking the element for selection does not work. Also the elements you hover the mouse over will not "gray out", there will just be a blue line boxing it in. I have disabled all other extensions - no luck. This example is from a Norwegian broadcasting site. Same problem here. The last update of EasyList seems to be the reason. I've checked the box (Easylist) today and it appears the problem has been solved. suddenly updating adblock custom filters started using 100% of a CPU core and the process never really completes, with "fetching" message stuck dead. thank you, seems like everything's fine now, even without disabling the custom filters. Sometimes, if you click on a link which opens up in a new tab, ads wont be blocked. You have to refresh the page to get the ads blocked. Niestety w ogóle nie działa z Operą 17. Нет возможности скрыть кнопку. Пишет что необходимо нажать правой кнопкой мыши - но в опере это не работает! I can not hide the button! Sometimes does not block ads on page first load. After reloading all is blocked. I guess this can be Opera api problem as well. Also, the "AdBlock" popup link leads to Chrome Store. Ads now pop up everywhere! Adblock is showing the wrong link under the "Hide this button" button: chrome://chrome/extensions. Unable to hide the button. Hola al actualizar flasplayer 11.8.800.94 me di cuenta que en la pagina de flashplayer(adobe)AdBlock bloquea la animacion que pone cuando finalizas la actualizacion; tambien observo que al querer ingresar a algunas paginas y logearme se crashea el navegador; Si desactivo AdBlock ya se ve la animacion de flashplayer (en adobe)y puedo logearme en las paginas sin ningún problema. esto podria ser un problema entre AdBlock 1.0.8 y Adobe Flashplayer 11.8.800.94 en Opera 12.16, espero pronto se resuelva este problema..
Adblock stopped working since the browser update on some ads. I can't get the "block this ad" bubble open, and it really lags alot when I open my browser. Please add an option to hide the extension from tool bar. An error occurred when installing the extension: Пакет недействителен: "CRX_SIGNATURE_VERIFICATION_FAILED". I don't see this problem when using 15.0.1147.56. Maybe try updating Opera and restarting your computer. If you still have trouble, please file a bug via getadblock.com/bugs . Thanks! Doesn't block ads on Youtube when you open Youtube by clicking on a movie embedded on another site. This extension eats your memory until Opera is not responding(goes to 100% of my memory)! Please fix that issue, it's a very good blocker, but it has problem with memory leak. Without that 5 stars from me. на некоторых сайтов блокирует нужную информацию, например на этом сайте блокирует содержания объявления: AdBlock и Adblock Plus, вместе или по отдельности все равно блокируют нужную информацию!!!! исправьте пожалуйста. Opera without plugin has opened site without errors. As soon as I installed your addon and refreshed page - error appeared. Since version 1.0.8 I can't see search box on opensubtitles.org with this extension enabled. Even with no filter lists enabled. Somewhy stops adblocking after setting up a rule on the pages with a lot of text, like "http://lib.rus.ec/b/381235/read". This also happens randomly, at browsing such pages... Potentially, opera cache may be a reason for this. When I try to add "additional Russian and Ukrainian filters" it says: Failed to fetch this filter! This will be fixed in the next version, which is already under review, but not released yet. I expect it to be fixed on Monday. Memory leak with extension. Eats all free memory. From Opera v12.10 it has made Opera crash continously. Was forced to disable the extension and the crashes stopped. Doesn't block video ads on Twitch.tv. the header (wrap) is blocked partly. Fine in Chrome version. It works fine for me. If the issue still occurs with Opera 12.12, could you please create a screenshot so I can see if I'm not overlooking something? I have occasionally had problems with blocking ads. Some half visible overlay ad there wanted me to download some "button" and that crap must be blocked. I just hope the issues I have reported can be fixed and I'll give it top rankings. I already filed this to the Opera team and hope they'll fix that. 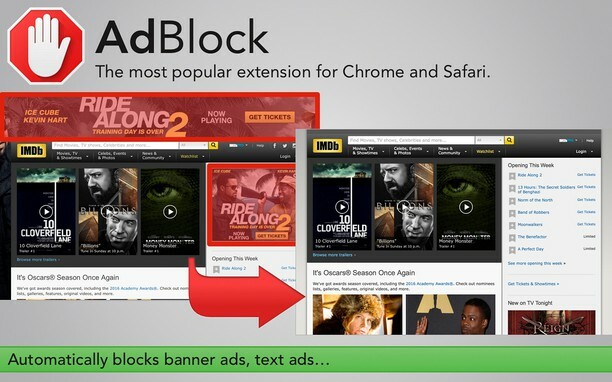 The most likely reason why you didn't see ads there, is that Adblock is blocking them. If this is true, you probably don't use the same list as I do. What lists do you use then? I use EasyList + Custom. I went back to the website I mentioned - http://www.gamesradar.com/uk/ - and I don't see the overlay. Please note that the ad servers will not display the same ad all the time or to all visitors. You and I can visit a website at the exact same time and the website may try to display different ads to each of us. Why is AdBlock slowing down Opera so much? It takes around a half minute to launch. No other extension I have used slowed down Opera noticeably. This extension sometimes drastically drops down Opera performance. it occures from version 12.10 onwards. No such problem existed on 12.00.
пытаюсь установить, а мне постоянно вылазит окно "Установка блокирована..."не только на этом - на всех расширениях.Что мне делать? I would contact Opera in it's forums. 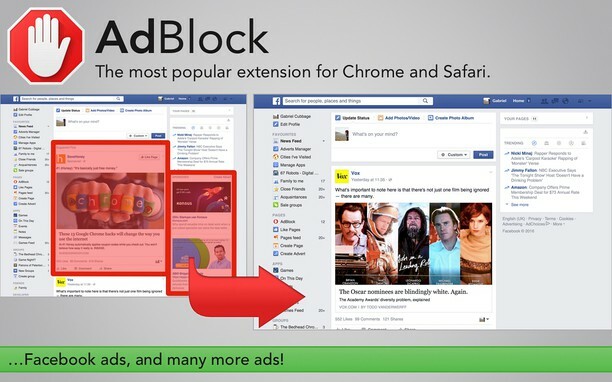 If you can't install any extension, then it is not caused by AdBlock, but by either Opera or your computer. It worked fine for a while, but for some reason, it started to block all plugins, not just ads, which is a bit odd. Great upp and a pleasure to eyes to see the pages without f**n' banners. Sometimes, the Twitch.tv "Click to remove" screen that shows with an ad will glitch and not go away when clicked. Other times, ads will still play. I am not sure if this is a problem on Twitch's side. Correct. You can manually add advanced rules via the options page. After clearing Opera's Browser History and cleaning Internet Datas, Ad-Block keeps resetting itself and installs again every time you open up Opera. Yes, i Open up the Opera menu -> Settings -> clear Internet traces ("trances") directly translated from german to english im sure its the wrong word but i hope u get me. Same goes for the option "clear traces after exit"
Thanks for the response. This happens when you enable the 'clear permanent storage' checkbox (the second last item). This permanent storage is the storage that is used by extensions (and similar). There is not much I can do against this: removing that storage is identical to removing the settings file of any application. oh alright. so i just disable to remove those files. but still, i wonder why this didnt happen at 12.02. anyways, thanks for the help! You mean the white borders I guess? Opera crashes when AdBlock is enabled. Are you using OS X? Режет рекламу очень даже хорошо, НО жрет при этом около 150MB памяти, это очень много для расширения. А на планшете (P6200) все время жалуется на нехватку памяти для єтого расширения и просит ее увеличить, хотя аналогичные расширения работают нормально. It does relatively use a lot of memory (40MB for me), but 150MB is really much. Can you please tell me which filter lists you are using? Does not block ads on some video sites like The Colbert Report, The Daily Show, and South Park Studios. Just a heads up that the Nov. 8th update still does not block some video ads, but I'm sure that'll be fixed. :D Thanks again. It seams that this add-on is currently (2012, Nov. 6th) not compatible with Opera 12.10 on MacOS. With this add-on Opera crashes every few seconds, without everything is alright. I think this is what they mean at http://my.opera.com/desktopteam/blog/ (first item in the changelog). Unfortunately, you'll have to wait for the next Opera version, or you can try (if you can reach it) to disable the button on the options page. Why in the opera version adblock when using "Advanced: block by URL instead" is a option "Whitelist every resource containing:"(http://i.imgur.com/5jJNy.png), but in the version chrome is a option "Block every resource containing:"(http://i.imgur.com/WvWdr.png) ? This is an Opera bug (DSK-376429). Unfortunately I can't fix that. Regarding the second part: the only thing I can think of is that you are not using the "Additional Polish filters" in Chrome. It is a bug that we're saying it is blocked in Opera. However, that should be fixed at the same time that DSK bug is fixed. Confirmed. This however looks like an Opera bug, since the filter *://adv. * is present, which should be blocking this. okay, that's really bad, because they don't care about bugs in this browser... and yeah it will never be fixed. Options are not saved when opera closes. This is an Opera bug which I unfortunately can't work around. The extension blocks links to store pages from PC Parts Picker. "Adblock is disabled on this page." "Adblock cannot run on this domain." On all sites, everywhere. With or without filter lists, clean profiles or such. It does seem to continue working regardless, though. I don't know why it gets disable. donot know how to reproduce it, but it gets disable at random (icon turns grey, ads not blocked). Have to restart Opera to get it work. The icon turns gray if I can't access a page. Is there a specific URL where the issue happens? Did not notice this if it occurs on some specific URL, I will let you know if i got it. It is not a real problem, i write here cause I don't want to write a bad comment. Are you working on this aspect? Many thanks to your work! I'm aware of some memory issues (in all browsers). Most of them are caused by the fact that our filter lists are quite big and therefore consume a bit more. Another part of it is caused by caching, which we do internally in order to be faster. Please add support for third party script blocking like in ContentBlockHelper. In Opera 12.10, the filter *$script,third-party should work. You can also subscribe to EasyPrivacy on the options page which will block all tracking scripts without modifying other scripts, if that's the feature you prefer. Unfortunately this looks like an Opera bug. The settings are stored correctly as far as I can see. However, after restarting Opera, they're set to an old value. Sorry, but per the policy of the filter lists, sites that belong to ad providers may have false positives. Also, in Opera 12.02 (which you are using) it's not possible yet to create a workaround for this. In Opera 12.50 the rule @@||google.com/adsense/$domain=google.com will fix this. 4chan homepage doesn't work with this extension. I'm not sure what you mean. What exactly is broken? Never mind, I reinstalled Opera for some reason and it's OK now. Automatic update of standard-filter does not work. All others work fine. Forwarded to the Russian list maintainer. They'll probably fix it soon. AdblockForOpera bloque certaines fonctions basiques de Hotmail comme passer d'un message à celui qui suit ou celui qui précède, il empêche aussi le retour à la boite aux lettre à partir du message qu'on est en train de lire. Est-ce un des dysfonctionnements annoncés jusqu'à la version 12.50 ? 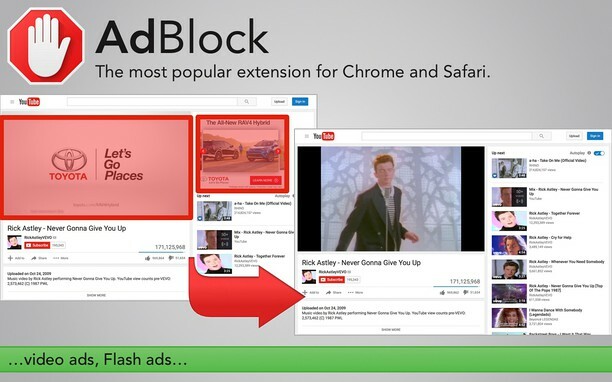 I had the same problem with Chrome that's why I changed for adblock plus. You must have no option to read your msg in hotmail only the list of msg no screen of reading on left or right side because in these cases it's working. I was using the default.. (recommended filters) but i think i now fixed the problems by adding in the ultimate fanboy list..
Another issue... when i unsubscribe to the recommended filters (i want to use the ultimate list)and i restart Opera they become subscribed again? Yeah, I noticed that issue too. However, this really looks like an Opera bug: no error is thrown and it works totally fine until the browser closes. So my guess is that Opera does not correctly write the new settings to your disk or such. However, I'm not 100% sure either. Google Analytics itself isn't blocked due to issues on many pages. Therefore please have a look at the policy of EasyPrivacy. It's the same list as the FireFox list, so it should block the same as it does in FF. The only reason why something wouldn't be blocked, would be if the page loads items in uppercase, because EasyPrivacy (and most other lists) are lowercase. Unfortunately, Operas API doesn't allow me to set case-insensitivity. And it would take 2^N rules to work around this, which simply isn't possible for larger rules. I don't think this would add any additional value. Fixed in the next version. I just submitted it for review. Blocks all links in Google search results. Works fine for me. Can you please tell me what filter lists you are using? now I found out that with EasyPrivacy enabled the bug? occurs.